With "Star Wars: The Last Jedi" scheduled to hit theaters in December, we can expect this holiday season to be flooded with new Stars Wars toys and collectibles. This week, Lego and Star Wars teased what they're calling their biggest collaboration yet. 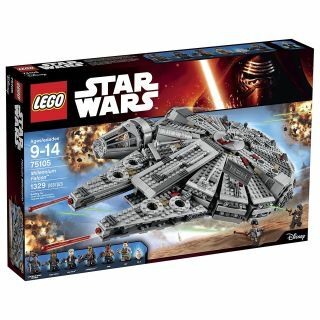 If you can't wait for the Oct. 1 release of Lego's new sets, Amazon is slashing the price of dozens of Lego Star Wars sets today. Below we've rounded up a few of our favorites.